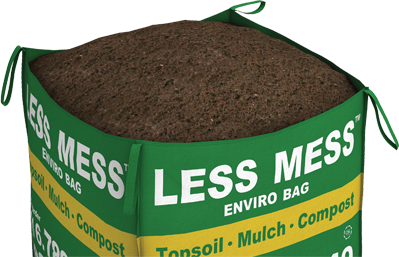 Less Mess mulch is excellent for providing coverage around trees, shrubs and flower gardens. An assortment of bark mulch and wood mulch varieties are available, with Cedar Mulch, Black Bark Mulch and Bright Red Cedar Mulch available for delivery. As a by-product of wood waste, mulch is an environmentally-friendly product. Bark mulch is made from the bark of a tree after it is stripped during processing at wood mills. The bark is saved and converted to mulch after being shredded, ground and screened to the desired size. Alternately, wood mulch is frequently generated by using partially decomposed trees, shrub brush and uprooted tree stumps accessed through the composting industry. Rescued chemical-free wood waste from the construction industry is also gaining popularity. Mulch is a great way to add colour and texture to the space in between plants. Mulch can also act as matting for pathways and open dusty areas. Another advantage of using mulch is that it helps maintain the moisture level around your plants, acting like a shield by insulating in hot temperatures. Mulch is a great way to control weed growth, and acts as an excellent soil conditioner. As the mulch decomposes, it adds valuable organic matter, nutrients, and healthy microbial activity to improve the overall performance of the underlying soil. A recent trend is to apply environmentally friendly iron oxide colourants to the mulch, which helps the colour keep its vibrancy for longer. 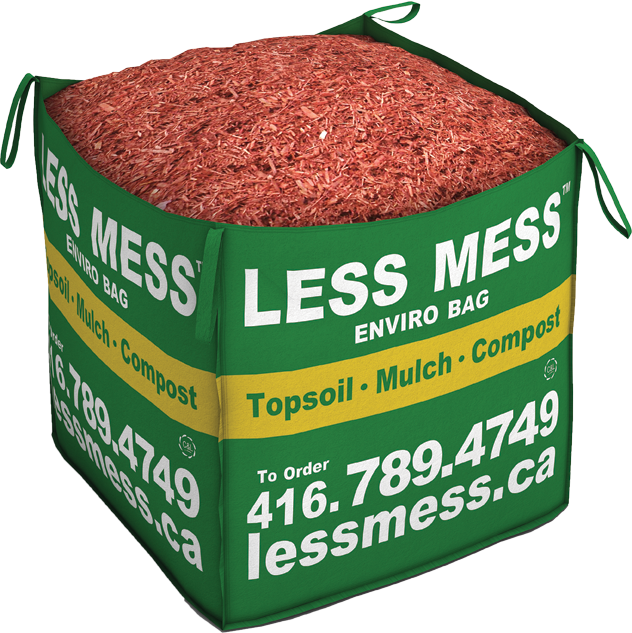 BENEFITS OF USING LESS MESS MULCH. Mulch is a handy gardening accessory that you can use throughout the year. Protect your garden over the winter by adding an eight-inch-thick layer of mulch towards the end of fall. That mulch you used over the winter will make it hard for weeds to gain a foothold in the spring. Don’t forget to freshen things up with a new dose of colour. Mulch will help to retain moisture around your plantings and protect against drought. This will help to reduce household water consumption.